Captions and quotes make your photo albums and scrapbooks truly personal and unique. And if you are designing your own greeting card or wedding invitation, rich text options become a must! 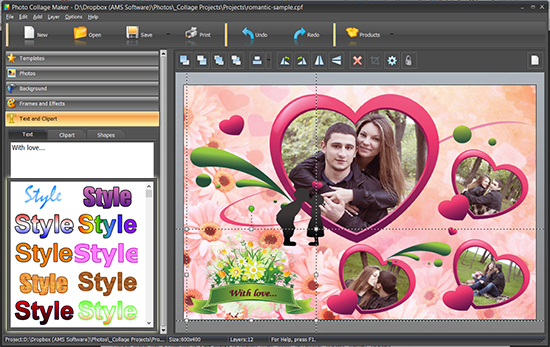 Photo Collage Maker is well-prepared and provides all the tools you could dream of for working with text. 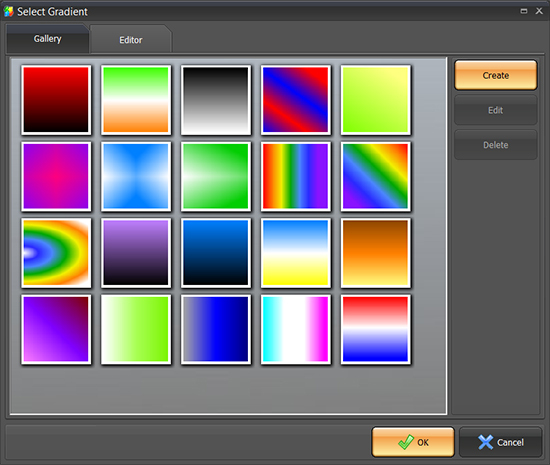 The software allows you to play with fonts and spacing, choose from solid colors, gradients, and textures, add outline and shadow for realistic 3D-look. For a quick result, check out the ready-made Styles. You are free to create your own text styles and add them to the collection. You can add any number of text lines, drag them where you wish and change the rotation angle - great option for greeting cards and posters! Now, when all the captions look perfect, your masterpiece is ready to print.